It’s becoming more and more difficult to determine the proper look at work. A recent survey conducted by Robert Half International found that dressing up for work continues its path toward extinction. The finance industry, once known for its strict business formal dress code, is the latest to succumb. J.P. Morgan Chase & Co. recently made business casual the norm. Still, old taboos die hard. A temp worker at PricewaterhouseCoopers was sent home a few months ago for refusing to wear heels. So how should employees know what to wear to work? For men, the answer is fairly straightforward. Business casual means slacks, shirt, and loafers. Business formal means a suit and tie. However, some say workplace dress codes single out women unfairly. Currently, one of the most problematic areas surrounding workplace dress codes is the ambiguity over “grooming.” Grooming is a catch-all that can encompass anything from clean fingernails to jewelry choice to hair style and color. Even casual workplaces where informal clothes are the norm put a premium on grooming. For women, good grooming often translates to blown-out hair, make-up, and yes, even high heels. 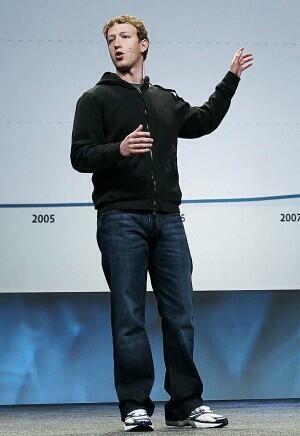 A perfect example of this double standard can be seen by examining the office wear of Facebook founder Mark Zuckerberg—grey T-shirt and jeans—and COO Sheryl Sandberg, whose high heels are nearly as iconic as Zuckerberg’s hoodies. The nebulous directive to be well groomed is also linked to judgments about appearance. Attractive people earn more—that’s been established. However, a recent study conducted by sociologists at UC Irvine and the University of Chicago found that women who are considered attractive are deemed so entirely due to their grooming. Only half of men’s attractiveness was found to be related to their grooming. The unsettled debate over workplace attire requires every new hire to use common sense. However, for professional women, what to wear—and how to exude professionalism—is particularly fraught. Should employees be able to express themselves through their clothing choices at work? Why do you think high heels play a part—some say a large part—of viewing a woman as a professional? In which professions might a dress code be appropriate? This entry was posted in 3. News You Can Use on October 4, 2016 by bizcombuzz.